Update - 04/16/14 - After two days of investigation with the Alcohol Tobacco and Firearms (ATF), Division of Criminal Investigation Office of the Wisconsin State Fire Marshalls Office, Wisconsin State Patrol, and the Crawford County Sheriff’s Office, there has not been any indication of foul play at this time as to the cause of the fire. Update - On Sunday, April 13, 2014, at approx. 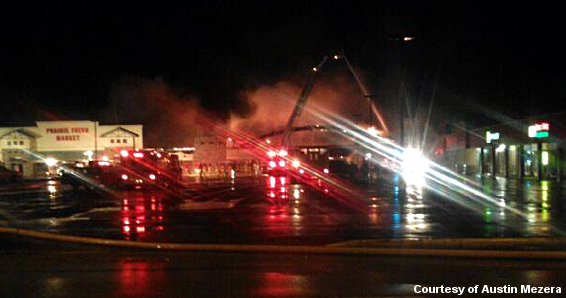 7:10 p.m., the Prairie du Chien Department was notified of a large structure fire at Slumberland Furniture Store. This is located at 700 East Blackhawk Avenue, Blackhawk Junction, Prairie du Chien. 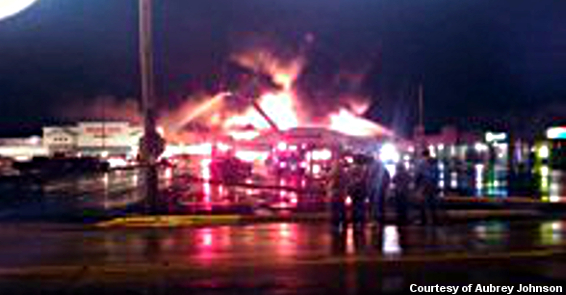 Upon arrival Officers observed that the building was fully engulfed and Prairie du Chien Fire Dept. was on scene fighting the fire. Slumberland was a total loss and other businesses in the mall also suffered smoke, water damage. Many businesses in the mall are closed at this time. The scene of the fire was secured and the State Fire Marshall is assisting in the investigation of the cause of the fire. 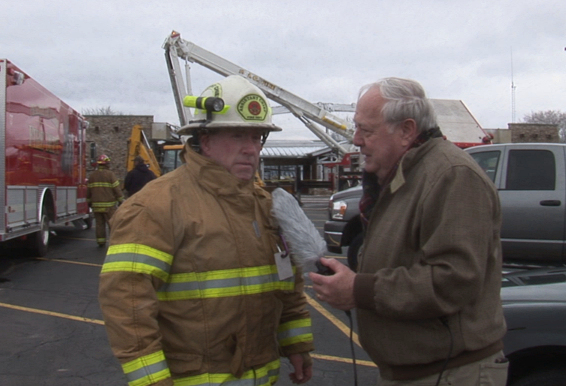 See video of interview with Assistant Chief Tim Deluhery, Sr.
Also, Donna Reed sent a video she shot of the building burning See youtube video. Update - Glenn Crary, age 47 of Boscobel, was the person in the vehicle. He was not injured, and was able to call for help. Terry’s Tire was able to remove the vehicle from the water. Also assisting at the scene were the Boscobel Police and the Wisconsin DNR. Blue River, WI – April 17, 2014 – Late last night a man from Boscobel was driving south on County T just past the Wisconsin River Bridge in his 2013 Ford F-150 pickup truck when he swerved to miss two dogs that ran across the roadway. 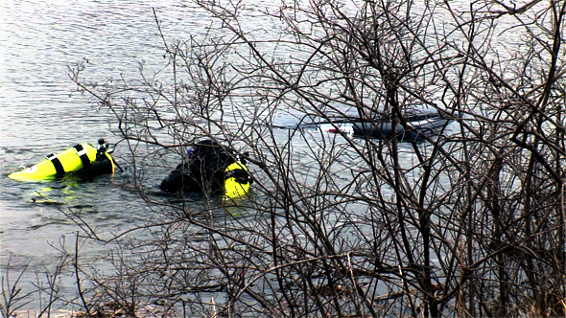 His vehicle went over an embankment and into the backwaters of the Wisconsin River. The river is near flood-stage causing the truck to be completely submerged with only part of its roof top showing . The driver got out safely, but no details have yet been released on how he escaped. Prairie du Chien, WI - Something special happens when people channel a statue, history comes flooding back in a way that a book can’t convey. A person in costume taking on the persona of a historical figure, telling verbally what it was like for them at that point in history makes it real. Humans are story tellers. We empathize with someone when we meet person to person. 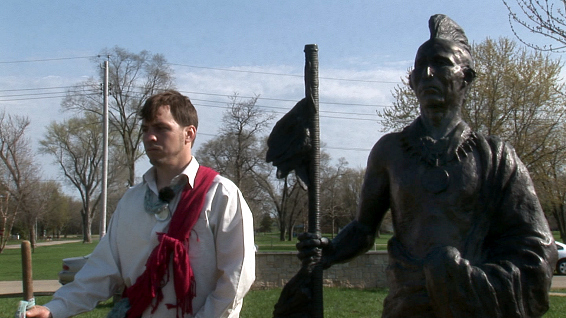 The sculpture park in Prairie du Chien on St. Feriole Island had a group of volunteers bring the park’s sculptures of historical figures to life. See video highlights (HD - watch full screen). Update - Lancaster, WI June 12, 2014 - On June 12, 2014 Donald J. Tweedy 17, Gays Mills was charged with 2 counts of Operating A Motor Vehicle Without Owner’s Consent. Each count carries a punishment of 3 ½ years imprisonment and a $10,000 fine. Tweedy was also charged with one count of Attempting to Flee or Elude a Traffic Officer, which is punishable by imprisonment of 3 ½ years and a $10,000 fine. These charges are a result of a crime spree in which Tweedy and a yet to be named accomplice, went on, during the night of June 4, 2014. Investigation continues with the subjects facing more charges in Grant and adjacent counties. The truck from this original story was recovered in the City of Dubuque and later returned to the owner. Update - June 6, 2014 - The stolen truck was located in the City of Dubuque and recovered by the Dubuque Police Department. At the current time, the suspects have been identified, but their identification is being withheld due to the ongoing investigation into this matter. Platteville Township, WI. June 5, 2014 – During the early morning hours of June 4, 2014 the Grant County Sheriff’s Office was involved with attempting to locate a vehicle that was reported stolen, from the Village of Gays Mills, and used in several attempted burglaries in the City of Dubuque. The vehicle was located near the City of Platteville, at which time a Grant County Deputy attempted to stop the vehicle. The vehicle fled from the deputy and the deputy discontinued the pursuit once it entered Lafayette County. A short time later the vehicle was seen heading back into Platteville on Business Hwy 151 and ultimately the vehicle was abandoned by the two occupants, in the City of Platteville. Area law enforcement officers spent several hours attempting to locate the suspects, but were unsuccessful. On June 4, 2014 at approximately 9:00 p.m., a caller reported to the Sheriff’s Office seeing two male subjects, whose description matched the description of the occupants who fled the stolen car, in the area of Stumptown Road in Platteville Township. Deputies searched the area and were unable to locate anyone. On June 5, 2014 at approximately 10:30 a.m. the Sheriff’s Office received a report of a stolen vehicle from a residence on Stumptown Road. Missing from the victim is a 2001 Chevrolet Truck, red in color, with license plate #EV4395. If anyone has information on the location of this vehicle or sees it driving, they are asked to contact the Sheriff’s Office or their local law enforcement agency. It would be appropriate to call 911 if you see this vehicle, to report its location. Lancaster, WI - June 11, 2014 - Yesterday, Pattison Sand Mine suit against the Lower Wisconsin Riverway Board (LWRB) was heard in Judge Craig R. Day’s Grant County Courtroom. The riverway board had declined to issue a permit that would allow nonmetallic mining near the riverway. View the video highlights as these matters are examined, discussed, an evaluated that leads to the reasoning and conclusion of the judges ruling. It seems obvious to your reporter that the riverway board was stretching their mandate in the broadest way possible in an effort to protect the riverway. However, relatively recently the legislature added a provision that nonmetallic mining would be allowed along Wisconsin's riverways as long as it met the narrow requirements of the statues. It also states that the landowners have the right to use their land as they see fit as long it is within legal bounds. On June 13th at approximately 1:10am, La Crosse Police Officer Matt Geenen observed a suspicious vehicle in the area of 7th and La Crosse St. Officer Geenen ran the registration plate of this vehicle and learned that on June 12, 2014, Grant County Sheriff’s Department had issued a Missing and Endangered Person for the registered owner of this vehicle. The officer’s squad computer alerted him that the vehicle and the 79 year old taxi driver were Missing and Endangered from Platteville, WI. Officer Geenen noted the driver did not match the description of the Endangered/Missing Person and attempted to stop this vehicle at 2nd and La Crosse St. The driver fled from Officer Geenen northbound onto Copeland Ave. The pursuit continued northbound through La Crosse and continued into and through Onalaska on Hwy 35. As the pursuit continued towards Holmen, WI the driver of the fleeing vehicle was involved in a crash with another vehicle and left the road and rolled over. The driver of the vehicle was taken into custody by Officers. Officers discovered an elderly male victim in the trunk of the vehicle and began life saving measures. The victim was pronounced deceased at the scene. Officer’s observed what appeared to be injuries consistent with the victim being assaulted prior to the crash. The La Crosse Police Department, in conjunction with the Wisconsin Department of Criminal Investigation, Grant County Sheriff’s Department, Platteville Police Department, WI State Patrol, the La Crosse County District Attorney’s Office and the La Crosse County Medical Examiner’s Office are investigating this incident as a homicide. An autopsy is scheduled today for the victim. The identification of the victim is being withheld at this time pending notifications. Platteville, WI – June 17, 2014 – Just after midnight today, a tornado touched down in several places in the southwest side of the city causing a great deal of damage, but no reported fatalities. The business district at the intersection of Hwy. 81 & Business 151 received a lot of the damage. It included damage to well known restaurants such as DQ, KFC, and Dunkin Donuts. A residential district on top of the hill behind the DQ, had a great deal of damage with trees down, vehicles turned over and houses damage. The UW-Platteville stadium had flood lights broken off and bleachers destroyed. See Video of damage. mwnews.net Additional still photos. 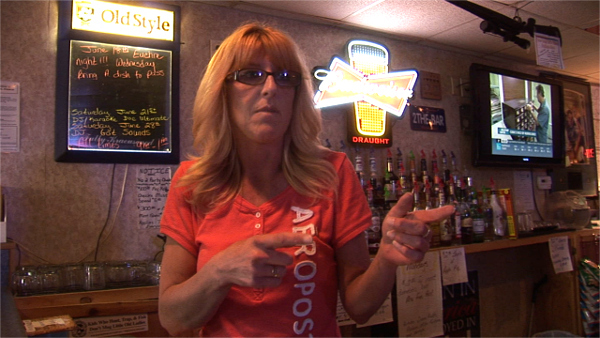 Shelly Martin, bartender at Kim’s Silver Dollar Bar describes what happen during the burglary. View Video (You can turn off HD by clicking on the HD letters on the lower right corner of the video. The clip will play without any buffering (stopping & starting). 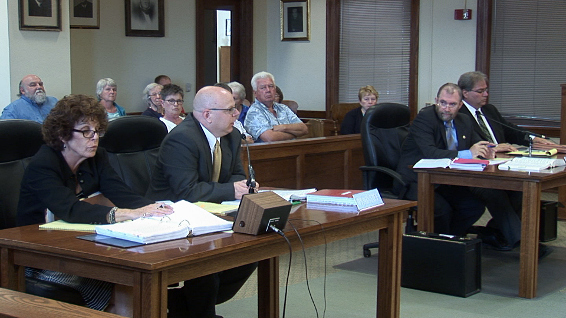 Update - June 23, 2014 - On Thursday, June 19th at 2:15 p.m., the Boscobel Police Dept. recovered the stolen safe and items from the Kim’s Silver Dollar bar burglary. A passerby had notified the Grant County Sheriff’s Dept. of a safe and property being dumped on DNR property west of Muscoda. The property was identified by owner, Kim Kalish. The safe and property are being processed as evidence. A total of $70.25 was recovered, but the remainder of the money stolen is still missing. The Boscobel Police Department is currently investigating the burglaries and a possible suspect has been identified. The police department is working the investigation with the Grant Co. Sheriff’s Dept., Sauk Co. Sheriff’s Dept., and the Chippewa Co. Sheriff’s Dept. Boscobel, WI – June 18, 2014 – Last night while tornados were touching down in Platteville, two business were burglarized in Boscobel, Kim's Silver Dollar Bar and Violet Dream Bakery outlet store, both businesses are next to each other in the 900 block of Wisconsin Avenue. Nothing appeared missing in Violet Dreams, perhaps because the robber or robbers were surprised when the owner of the Silver Dollar, Kim Kalish, happened to walk in around 2:45 a.m. while the burglary was in progress. He found a stocky, hooded man trying to gain entry to an ATM unit in the Bar. Mr. Kalish gave chase, but the burglar ran out the back door. Shelly Martin, bartender at the Silver Dollar, said the robbers had tipped over bar stools to use as a barricade in case anyone gave chase, and Mr. Kalish ran into them in the dark while pursuing the burglars. A large, heavy safe had been ripped out of the wall and was missing. It contained a undisclosed amount of cash. Boscobel Police Chief Todd Stenner has asked that if anyone has any information regarding these burglaries to please call 608-375-4122. Chief Stenner also said that there were two other burglaries in Blue River the same night. MADISON, WIS. -- John W. Vaudreuil, United States Attorney for the Western District of Wisconsin, announced that Craig D. Bellis, 34, Boscobel, Wis., was sentenced today by U.S. District Judge Lynn S. Adelman to 60 months in federal prison without parole, to be followed by six years of supervised release, for distributing morphine. Bellis pleaded guilty to this charge on April 15, 2014. Bellis sold four morphine pills on three occasions in April 2013 to a confidential informant working with the Richland-Iowa-Grant Drug Task Force. The purchases from Bellis were part of ongoing investigation into morphine distribution in the Boscobel area. On May 20, 2014, Brent A. Venglish, 46, and Thomas Kussmaul, 24, both of Boscobel, were each sentenced to a four-month prison term, to be followed by a three-year term of supervised release, for their distribution of morphine in Boscobel. On April 15, 2014, Mary Grant, 64, also of Boscobel, was sentenced to two years of probation for her role in the distribution of morphine in the area. Information developed during the investigation demonstrated that Bellis distributed additional amounts of morphine between August 2011 and March 2013. The defendant’s advisory sentencing range under the federal sentencing guidelines was 188 to 235 months in prison due his status as a career offender because of prior drug trafficking convictions. Officials at the mine aren’t sure what materials are burning, but conveyor belts and plastic piping are likely on fire. Quantities of tires and fertilizer that are stored in the mine are in the Consolidated Barge and Grain area, an entirely separate part of the mine, and are not at risk of catching fire. Smoke from fires can contain hazardous materials including small particles. People in the area should avoid heavy smoke and areas where odors of burning are prevalent. Groups that may be especially vulnerable to respiratory problems include the elderly, children, pregnant women and asthmatics. They should take extra precautions to avoid the smoke. Generally, stay upwind of smoke, avoid areas of dense smoke, limit outdoor activity and contact a health care provider if having difficulty breathing. The DNR is working with Pattison to hold water and foam from fire fighting materials on-site. Pattison officials are working with the Mine Safety and Health Administration to fight the fire. Pattison produces industrial sand for the natural gas and oil industries. Clayton Iowa - June 10, 2014 - A fire broke out in the Pattison Sand Mine at 7:45 a.m. today. The company reports that all miners exited the mine safely, and there were no injuries. The mine will remain closed for 36 to 48 hours to give the Mining Safety and Health Administration time to investigate. 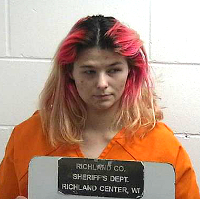 Richland County Sheriff Darrell Berglin reports that late Saturday night (07/12/2014) at 11:48pm jail staff found Jamie L. Holcomb, 27, of Whitewater, Wisconsin hanging in the sleeping area of her jail cell block. Sheriff Berglin reports that Richland County EMS was summoned to the jail and jail staff and arriving law enforcement officers used an automatic defibrillator in an attempt to resuscitate Holcomb. Compressions and rescue breathing was then started on Holcomb who was then transported to the Richland Hospital by Richland County ambulance. Holcomb was then transported to the UW Hospital in Madison where she was later pronounced dead. Berglin said that Jamie Holcomb had been an inmate in the county jail since May 21st when she was booked on 3 felony bail jumping charges involving a harassment injunction violations and additional telephone harassment and misdemeanor drug charges. On May 27th Holcomb appeared in circuit court and was given a $3,000 cash bond. Berglin said she was unable to post the cash bond. The sheriff said that the investigation into the incident is continuing and that an autopsy was being performed on Holcomb Monday. Berglin said that the state jail inspector’s office has been notified of the death and that they would perform an evaluation of the incident. According to Berglin, Holcomb had listed residential addresses of Whitewater, Kendall, Hillsboro, and Lafarge during the past two years in contacts with deputies. Update - An autopsy examination lead to the La Crosse County Medical Examiner’s Office to rule the preliminary Cause of Death as Drowning, with the Manner of Death classified as an Accident. There were no signs of trauma or injuries and no evidence of foul play. Toxicology results will not be available for several weeks, these are preliminary autopsy findings. On Tuesday, July 8, 2014 between 11:00PM and midnight, Shalim Augustine was with a group of friends who docked their boat at the landing behind Powerhouse Marine at 518 Logan Street in La Crosse. Augustine left the area on foot, walking southbound through the parking lot towards Copeland Park. Augustine did not return home and did not show up at work the next day. 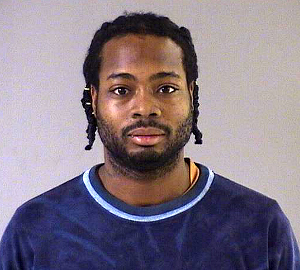 Augustine, a 23 year old La Crosse resident, is 5’09″, 145 lbs., and has black hair and brown eyes. Augustine was last seen wearing a pink button-up shirt, tan cargo shorts, black sandals, and black sunglasses. The report of this disappearance started an extensive search to include Police and Fire Personnel, Family and Friends, and many different types of special resources to include personnel and equipment (K-9 and help from the La Crosse Dive Unit and Bruce’s Legacy - Underwater Sonar). Tonight at approx. 6:10pm, Mr. Augustine was located on the Black River to the north of his last observed location on the night he went missing. There were no visible signs of trauma, and an autopsy is scheduled for tomorrow morning in Madison. This is an active an ongoing death investigation, and the La Crosse Police Department needs your help. If you have any information related to this case, if you observed anyone matching Mr. Augustine’s description near Copland Park or walking in the Copeland Ave, or Rose St. vicinity on Tuesday, July 8th or later into the morning hours of Wednesday, July 9th please call the La Crosse Police Department at (608) 785-5962.